The world's most famous steeplechase takes place on Saturday, 6 April and Irish-trained horses have a very respectable 40 per cent strike rate in the Grand National over the last 20 years. 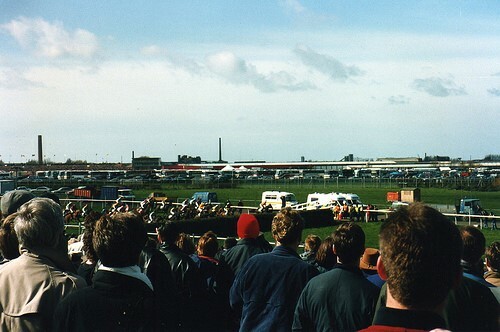 From 1999-onwards, when Bobbyjo landed the spoils, eight Emerald Isle raiders have come to Aintree racecourse outside Liverpool and taken the valuable winners' prize back across the Irish Sea. Which horses trained in Ireland are prominent in the 2019 Grand National antepost betting ahead of weights and entries coming out in February? Here's a breakdown of those that could be aimed at Aintree. Irish champion trainer Willie Mullins won the race in 2005 with Hedgehunter, but trains plenty of top staying chasers capable of following in that one's hoofprints. A clutch of Closutton inmates are trading at Grand National odds of 25/1 with Paddy Power headed by last year's narrow runner-up Pleasant Company. Punters who are concerned about poor performances down the field over hurdles on reappearance and then in the Thyestes Chase shouldn't worry too much. 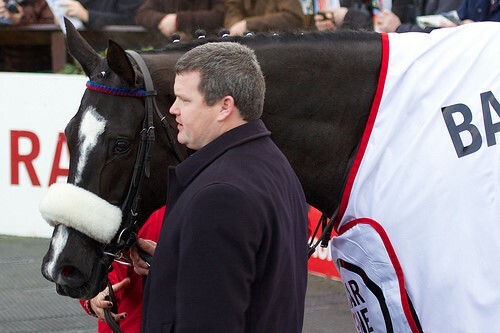 Pleasant Company didn't show much for owner Malcolm Denmark en route to Aintree last season. He is joined as a possible Mullins mount by Punchestown Gold Cup winner Bellshill, who shaped as if he wanted further in the Savills Chase over Christmas, and 2018 National Hunt Chase victor Rathvinden, who has proven his stamina over the extreme trip. One another Mullins who has entered the picture is Invitation Only at 33/1 after justifying favouritism when stepped up to the 3m 1f distance of the Thyestes and landing the spoils in the big Gowran Park handicap. Whether he'd be too high in the weights for the Grand National remains to be seen, and the assessor must also decide whether to drop the rating of Pleasant Company down now he's an 11-year-old. County Meath handler Gordon Elliott, like leading owners Gigginstown House Stud, has won the Grand National twice before. Those connections teamed up 12 months ago with Tiger Roll, who has history almost entirely against him. Despite that, the nine-year-old is still young enough to emulate Aintree icon Red Rum and win the National again at 25/1. He is taking a similar route to the race as last season. Elliott and Gigginstown won the Irish equivalent at Fairyhouse last Easter with General Principle and he just held on for fifth place behind Alpha Des Obeaux. Both are 33/1 in the antepost market on the English Grand National this year, with the latter falling at The Chair 12 months ago. Whatever represents connections, the British handicapper is unlikely to do them any favours. Mall Dini was a late running and eye-catching sixth, and just a head behind General Principle, in the Thyestes Chase. Running in the colours of Cheltenham Gold Cup favourite Presenting Percy for trainer Pat Kelly, he is in fact still a maiden over fences but has had some hard luck stories in chases to date. While Mall Dini is a 33/1 chance and could go well over even further, Anibale Fly of Tony Martin's yard was arguably the most consistent staying chaser in the British Isles last spring. The nine-year-old, owned by JP McManus, placed in both the Gold Cup and Grand National - a very rare feat to achieve - and is another prominent potential Irish runner in Paddy Power's Aintree betting at 25/1.